You bought a house and you thought you were on your way to achieving the American Dream. Unfortunately, the thing you were once so excited to acquire the place to truly call home is now at risk of being taken away and it has got you worried sick. You (and potentially a partner) have put yourself on the line, intending to make things better, but something happened to disturb the happy balance of your life. The threat of foreclosure can occur for many reasons from losing a job and getting laid off or suddenly acquiring more hospital bills than you could reasonably cope with. You may have lost an additional income or just discovered the bills have become overwhelming. Bad things happen to the best of us and we should not feel bad about that. Its just life. However, the biggest problem you face right now is that you are facing another major loss with your home being on the line. If you are like any other normal person you will be worried sick. You probably feel there is something gnawing away at your stomach and making it very difficult to sleep at the night. Things may be seem blurry and confused. You feel unsure about everything and a state of panic may have already set in. Its okay and totally understandable, and there is a reason for this. Right now, you need to be searching for and assembling all the information about foreclosure as you can find. You feel overwhelmed by all the information out there but you are determined to understand more about your situation and forclosure. You want answers to all the questions you are asking yourself. Right now you need a calm voice of reason and logic to show you that things can be okay. Things may look bad but you know there must be a way of overcoming these difficulties. Thats why this could be the most important web page you will read to help get you going in the right direction. 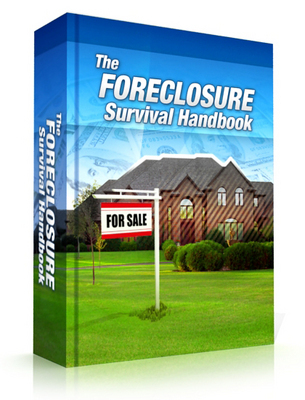 Understanding How To Survive Foreclosure foreclosure survival;foreclosure survival guide;foreclosure survival handbook;survive foreclosure 9128587 2.99 onlinesolutions Fresh Download Available!